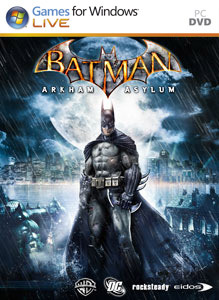 Batman: Arkham AsylumAugust 25, 2009Eidos' comic book-inspired action title follows the caped crusader as he takes on the Joker and other supervillains in the titular madhouse. Face off against Gotham's greatest villains including The Joker, Harley Quinn, Victor Zsasz and Killer ..
Batman: Arkham Asylum (JP)Jan 15, 2010 (JP)Eidos' comic book-inspired action title follows the caped crusader as he takes on the Joker and other supervillains in the titular madhouse. [Japan Import]..
Batman: Arkham Asylum (PC)Sep 15, 2009A hero's descent to the core of the criminally insane. 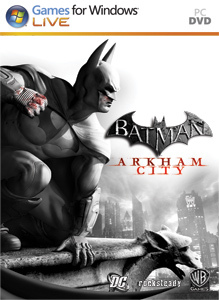 Batman: Arkham Asylum - Games for Windows..
Batman: Arkham CityOct 18, 2011 (US)Developed by Rocksteady Studios, Batman: Arkham City builds upon the intense, atmospheric foundation of Batman: Arkham Asylum, sending players soaring into Arkham City, the new maximum security “home” for all of Gotham City’s thugs, gangsters and ins..
Batman: Arkham City (PC)Nov 22, 2011 (US)No escape from Arkham City…the sprawling super-prison in the heart of Gotham City, home to its most violent thugs and infamous super villains. With the lives of the innocent at stake, only one man can save them and bring justice to the streets of Got.. The classic card game makes its way onto the Xbox Live Arcade. UNO® is the classic party card game that's number one for family fun! Compete against three other players to match colors and sym..